People have been making cute little soaps for quite some time, so making them in an odd shape is nothing all that new. Yet I’m fairly sure that this is the first time I’ve actually come across soap with a bit of geek appeal. This soap mouse, is said to have left the mouse pad, due to being a bit discontent. The design company, Yeduo, show the mouse in two different colors, white and black. If only they had attached a cord and made the extremely childish soap-on-a-rope reference. The nice thing is that there are a great deal of people that like to try out new designs when it comes to creating their own soap. Luckily those people like to make their way onto sites like Etsy. So even though this particular designer doesn’t give any purchase information, I’m sure if you browsed the net long enough you could find a similar item. 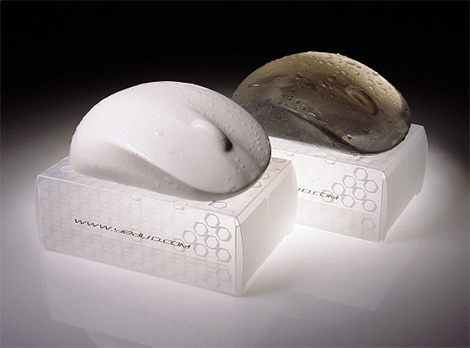 You could also contact the designer and likely get a bit more information about the purchase info on the soap.